The Wiremac-3:1 Calendar Punch is a hard wearing and efficient coil binding machine. 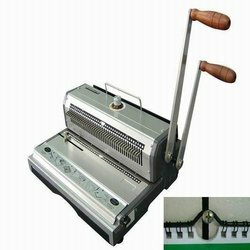 The efficiency of two handles make this coil binding machine a popular choice in many offices. It features fully disengaging punch pins allowing precise punching for a variety of document sizes.